I don’t have school age children (yet) so I am yet to come across this Green, Amber, Red light program for school canteens but given all the media attention Kellogg’s has been receiving thanks to it’s new Coco Pop liquid breakfast (and them being given “Green” light approval) I had to check out what this labelling system was all about and all I can say it seems completely flawed to me! 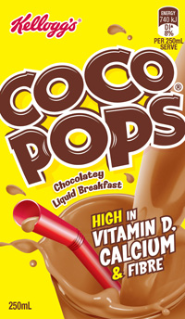 Here is the link to the “Guidelines for Healthy foods & drinks to be supplied in school canteens” as produced by the Australian Department of Health and Aging for those of you who like myself are not familiar with it. 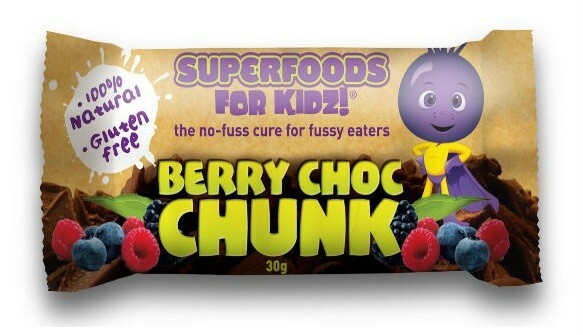 but provide an Amber rating a 100% natural organic RAW superfoods bar such as this one from Superfoods for Kidz? Organic Rice Malt, Dark Chocolate Cacao, Pea Protein Isolate, Whole Cranberries, Organic Coconut, Sultanas, Water Hulled Tahini, Organic Cocoa, Flaxmeal, Sunflower Seeds, Certified Organic Cacao, Organic Cacao butter, Organic Vanilla Beans, Himalayan Crystal Salt, Certified Organic Acai Berries, Blueberry, Blackberry, Raspberry, Cranberry, Gojiberry, Mango, Beetroot, Calcium Citrate, Fruit Trim, Chia Seeds, Fructoolgosaccharides (Prebiotic). Can anyone see the logic? The reasoning behind this was that the superfood bar contains chia seeds which have a higher fat content… Now the Chia seed is the richest plant based source of Omega 3, dietary fibre , protein and antioxidants. With these benefits and (including the fact they a higher level of calcium per serve than a glass of milk) their fat content seems null and void to me. This Amber rating puts products like this raw food bar in the same class as a chicken nuggets which some can contain as little as 18% chicken in their ingredients listing but are full of all the bad fats we should all be avoiding. This rating system just seems completely crazy to me! I know there is a lot of conflicting information out there for parents and carers regarding what kids should and shouldn’t be eating but seriously it really is a simple as going back to basics. If you recognise WHOLE, REAL foods in the ingredients listing and they haven’t been modified to be low fat or a bunch of numbers, the whole real food option is your best bet regardless of the fat content of a seed that provides so many other nutritional benefits. I certainly will not allow the Department of Health and Aging “guidelines” to dictate what I know my children should & shouldn’t be eating and I think the above is a prime example of how wrong they got it with these “healthy” guidelines.